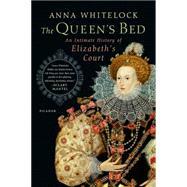 Anna Whitelock received her PhD in history from Corpus Christi College, Cambridge, in 2004 with a thesis on the court of Mary I. Her articles and book reviews on various aspects of Tudor history have appeared in many publications, including The Guardian, The Times Literary Supplement, and BBC History. She has taught at Cambridge University and is now a lecturer in early modern history and the director of public history at Royal Holloway, University of London.